Shower Towers comprise of a single strip of stainless steel tower and give you a huge selection of showering. 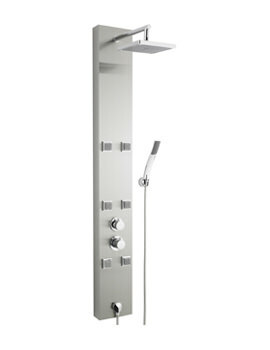 From the innumerable jet types to the overhead shower and the multiple settings from the handset, all are made for giving you a thrilling shower. Overall, Tower Columns are easy to install, as they effectively do away with the need for brainstorming for installation or buying numerous accessories. We bring the freshest designer models under this category from the world’s leading brands such as Bristan, Hudson Reed and Premier Bathrooms. 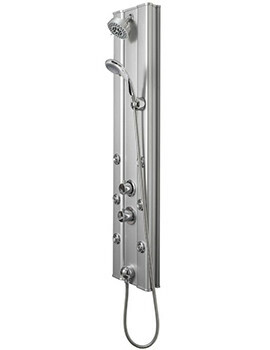 These attractive products brought to you at our on-line store enable you to choose the showering splendours in terms of luxury, convenience and usability. Operated at your command, the products showcased on our site provide unlimited comfort, at low price. With a broad range of products in this category, you simply have to browse through the array of designs, styles and structure. Select the right one that complements your bathroom and provides the efficiency you need.